Superintendent Brian McBride has taught everything from elementary school to adult learning classes. Essentially, he’s done it all. With a background with the United States Air Force and the Air National Guard, McBride has always had a passion for serving, and that has spilled over into his career in education. 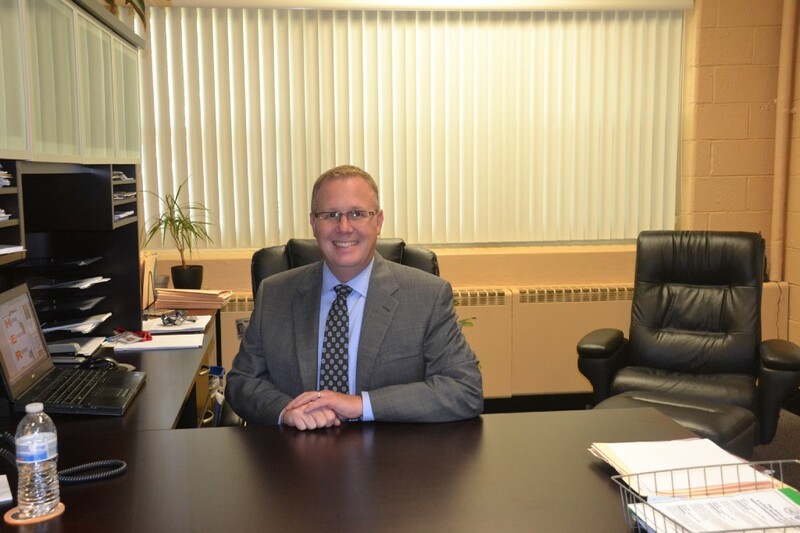 In 2012, McBride joined Palmyra Public Schools as the superintendent of schools. Since then, he’s been working hard to set high standards to meet the goals the district has set, beginning with the five-year strategic plan. The strategic plan went into effect earlier this year and outlines where the community expects the district to be five years from now. McBride says the plan transfers into smaller cutaways that involve working with educational foundations, parent-teacher organizations, parent advisory committees, athletic boosters and extracurricular clubs. There are many goals the plan strives to reach, such as improving the culture and climate in the district, the educational standing of the district, communication with businesses and governing bodies, and partnerships with the Riverton community. While there’s no one collective goal the plan aims to reach, McBride said it aligns to the mission of the district, which is making kids more politically, economically and socially ready to meet the world by the time they graduate. While the plan has kept him pretty busy, McBride says the district is also working on other projects. “One of the things we’re also embarking on is a participation in the New Jersey Network to Close the Achievement Gap. It’s a cooperation of school districts in New Jersey that have a primary focus to close the achievement gap. Whether the achievement gap is based on socioeconomics, demographics or any number of identifiers, our goal there is to attack those issues so that all of our students are getting maximum opportunity to learn,” McBride said. McBride also said the Palmyra High School Foundation for Educational Excellence is banding together with many other groups such as the parent-teacher association to spread the word about the school district. McBride added that a perk to attending a smaller school district such as Palmyra is the students can be a “big fish in a little pond,” and students tend to graduate with very diverse portfolios. “You can play sports all four seasons, you can be on marching band and on the football team at the same time, you can be in student council and be part of our interact club, and join the theater program,” McBride said. When McBride isn’t busy with Board of Education meetings and five-year plans, he loves to spend time with the kids in the district. “To get up and leave the desk and to go read at the elementary level, to walk through the lunchroom and see the kids, to go check out a game or a performance — that’s really what we’re here for,” McBride said. McBride also gave a word of advice to all of the students journeying through their high school years.